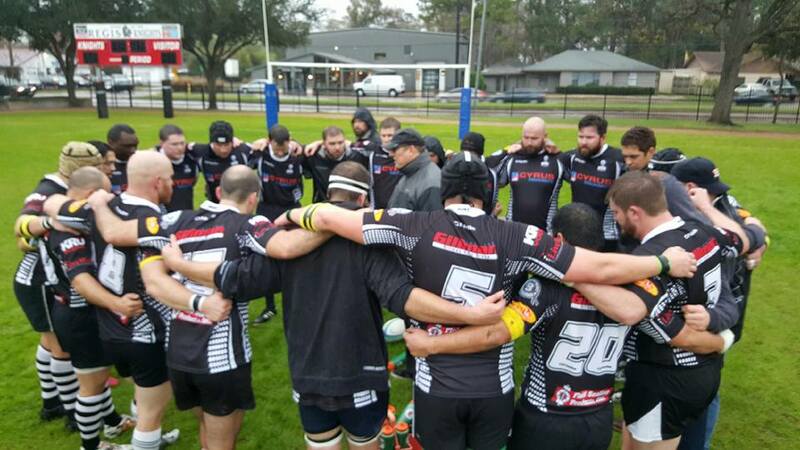 (D2) HURT and the (D3) Henchmen rugby squad traveled up I-45 to battle their new-founded rivals. Thank you to the Woodlands for hosting a hard-hitting doubleheader. We look forward to our rematch scheduled in Houston on April 23rd. HURT and the Henchmen remain the only undefeated teams in their respective south divisions. 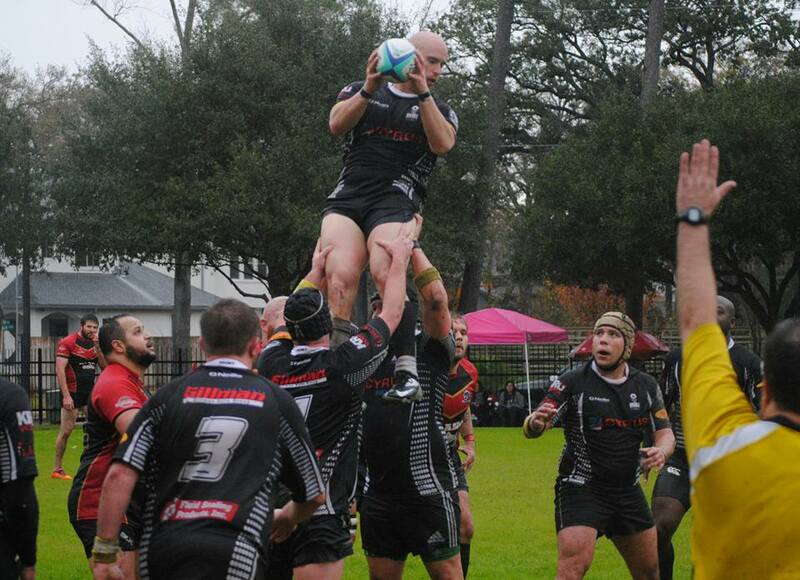 Next match is the Henchmen vs. the Bay Area Rugby Club in La Porte, TX on February 13th. As a mark of respect, HURT and the Henchmen wore gold armbands on Saturday in memory of former Woodlands and Kwaggas flanker, Tiaan Brand, who passed away earlier this month. Rest in peace, mate. HURT 8-man, Mike Wong, climbs high to secure line-out ball for another attacking raid on the way to a 36-3 win in sloppy conditions. 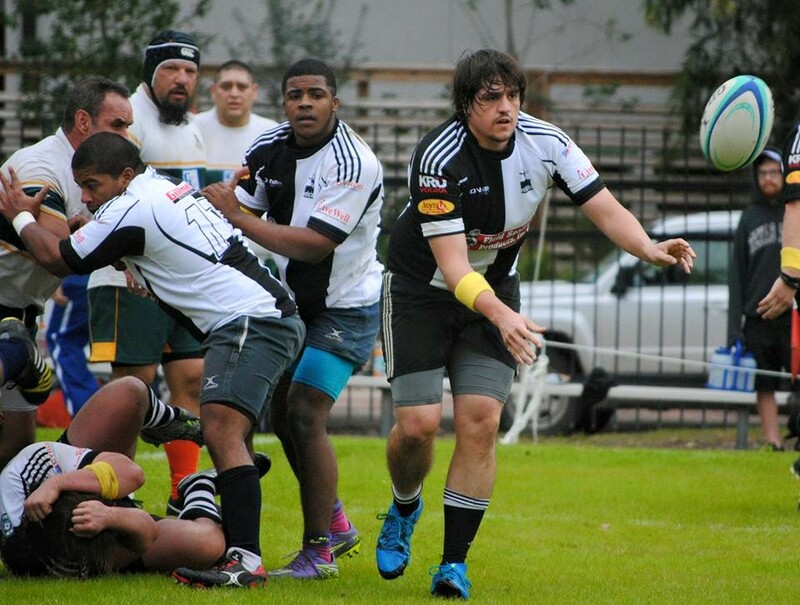 Henchmen scrum half, Fernando Sanchez, sends it wide in Saturday’s win over Galveston RFC as his forwards, Manuel Pitts and Simon Tito Bautista, provide security to the ruck.